Kandy to Ella Train - Everything you need to know about the world's most beautiful train ride | The Atlas Edit. Is the Kandy to Ella train ride the most beautiful train ride in the world? The truth is, it’s subjective but it’s definitely something to tick off your Sri Lanka bucket list. 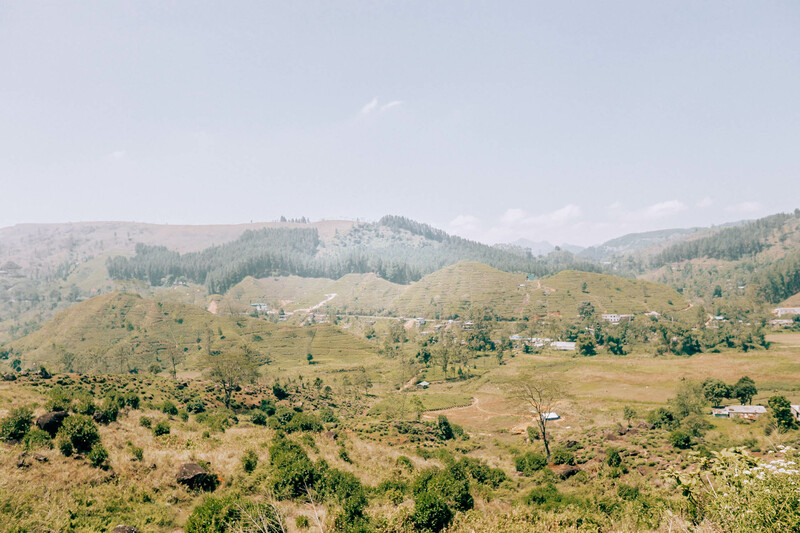 If 7 straight hours of riding through lush tea plantations and Sri Lanka’s mountain ranges sounds like your cup of tea, then strap in for the ride of your life (seatbelts not included). 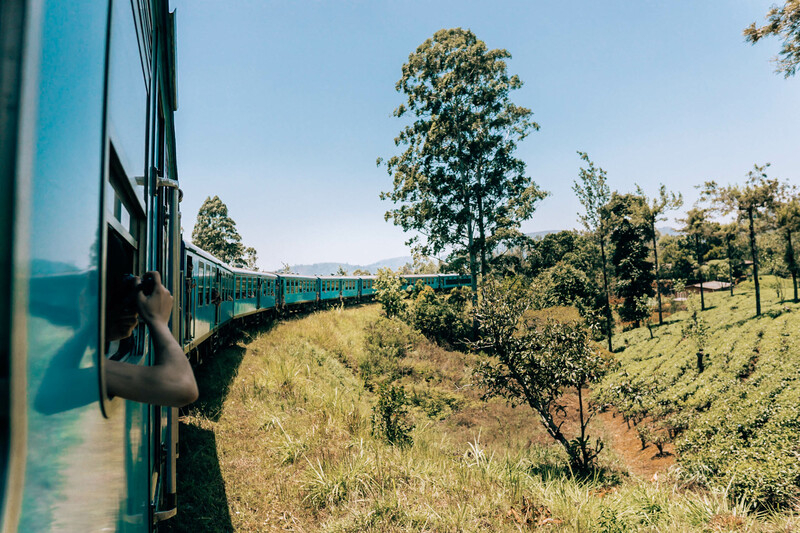 But bagging the title of the world’s most beautiful train ride would surely mean that everyone in Sri Lanka’s trying to get on this train (locals included!) so getting tickets aren’t the easiest feat. In this post I’ll break down everything you need to know about taking the Kandy to Ella train if you choo-choo-choose to! 5 Which side of the train should you sit? 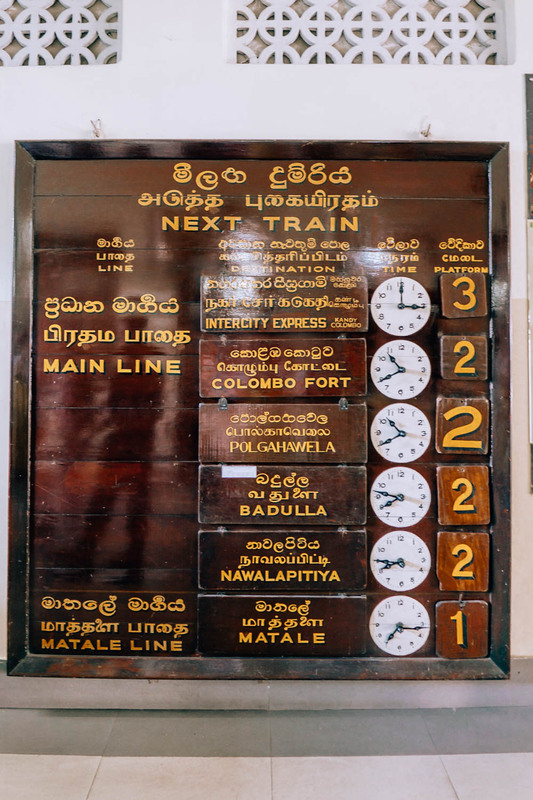 Reserving seats on the Kandy to Ella train can induce bouts of anxiety and stress, since it is so hard to get. It’s almost as hard as catching a glimpse of that elusive leopard in Yala National Park. This is because tickets go on sale 30 days in advance but are almost immediately snapped up by travel companies that then sell them on the black market at grossly inflated prices. The only way to purchase the tickets at surface value is to be present in Sri Lanka on the day the tickets are released. I had engaged the help of our Sri Lankan driver to try to get 2nd class reserved tickets for us 30 days before our journey, and even so they were unable to get tickets until the day before our journey! They were however able to get us 11:03am 3rd class reserved tickets, but we really needed to travel on the 8:47am train as we would be arriving into Ella too late if we took the 11am train, which would greatly screw up our plans considering how tight our schedule was. The only way to really secure your ticket is to book through an online agent like 12Go Asia, especially if your schedule is not flexible. However, this means paying many times the face value of the actual price, which I was not willing to do because… I’m cheap. I’ll admit. 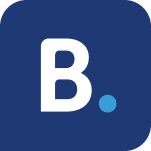 Prices start from about $13 for a 2nd class reserved ticket, which is significantly higher than the original ticket price, but is still cheap enough to save you the hassle of stressing about not getting a seat on your 7-hour journey! 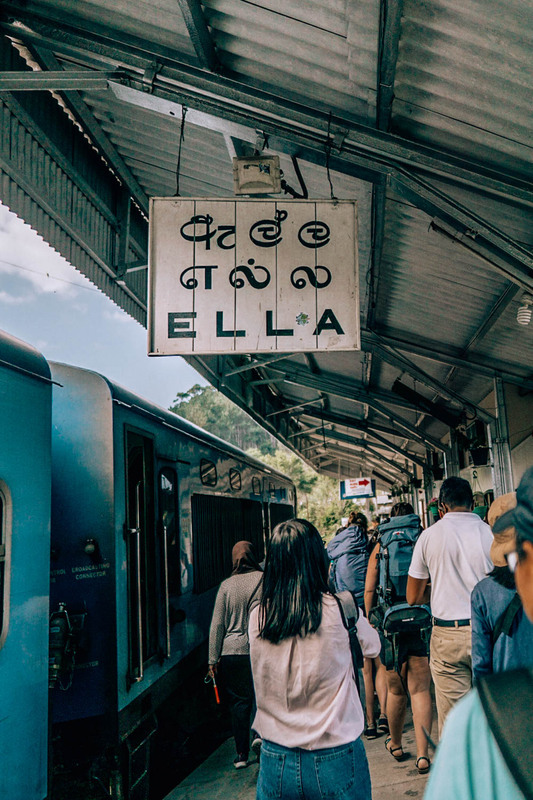 To save yourself all that unncessary headache, book your Kandy to Ella train here (or any other train ride in Sri Lanka including Colombo to Kandy and Nuwara Eliya to Ella). Try to book your tickets as early as possible, preferably at least 37 days in advance to secure your seat! Alternatively, if you don’t need reserved seats, or just don’t want to pay the extra cost, you can always show up at the train station on the day of your journey. But don’t get on the train at Kandy! Do this instead. 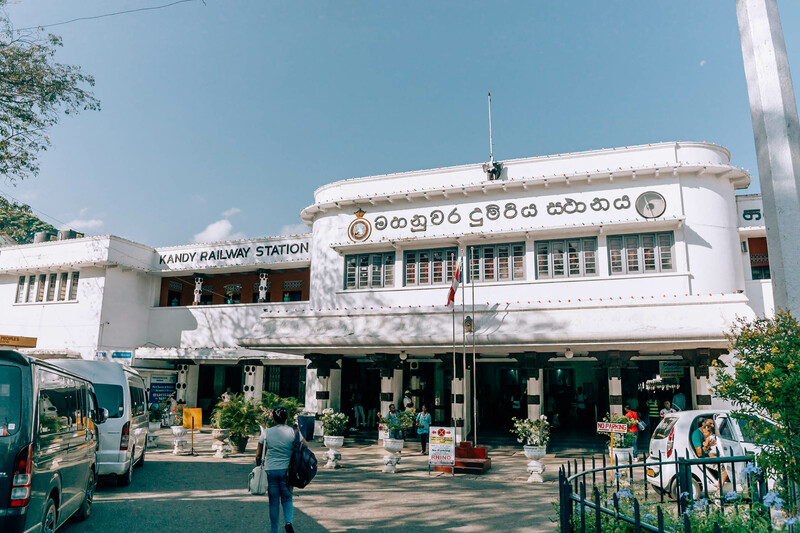 Most people will get on at Kandy station, so the trick is to board the train at the station before Kandy! 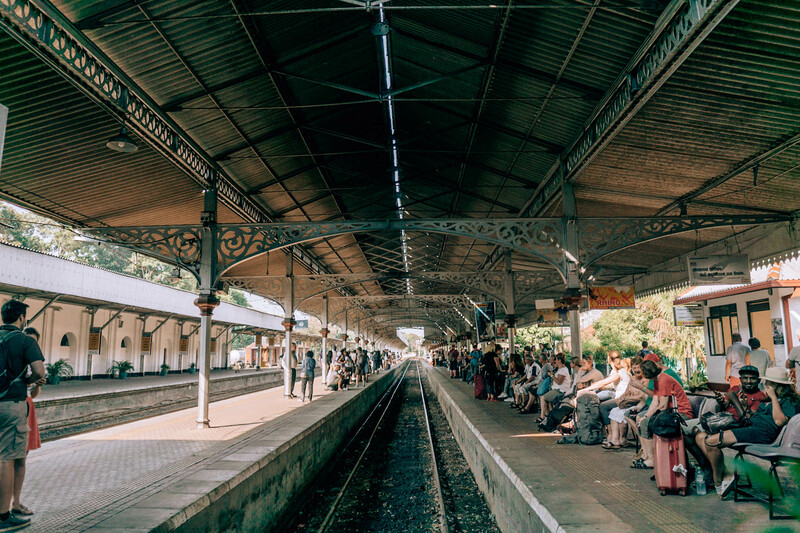 Just hop on a tuk-tuk and travel 10 minutes to Peradeniya Station. This way, you’ll have a much higher chance of snagging a seat before the hordes of tourists get on at Kandy station. And trust me, we saw people running to the train doors when the train arrived at Kandy station. It really felt like a Sri Lankan version of Hunger Games, so it can be a pretty messy, hectic situation. The train is frequented not just by tourists, but by locals alike, so it gets even busier on weekends so try to avoid that time if possible. It also gets harder to get tickets during high season which is generally from December to February. 12Go Asia sells 2nd class reserved tickets for $13, which is a huge mark-up but isn’t too bad for a 7-hour journey with a comfy seat! Our driver managed to get us 2nd class reserved tickets from the black market a day before, which cost 1,500 rupees ($8.50) each. Our driver so kindly offered to split the cost with us so we ended up paying 750 rupees ($4.25) each for a ticket, but it was a huge risk to take! All because I was being cheap. If you can, I’d still avoid the hassle and stress by booking your tickets early. The clock hands are moved manually by the platform conductors which I found so cute! I would recommend taking the 8:32am train from Perediniya or 8:42am from Kandy to arrive in Ella at 15:14 so you will be just in time to catch the sunset on Little Adam’s Peak in Ella. Note that trains are often subject to unexpected delays so make sure to have contingencies. We were quite lucky to have our train arrive in Kandy right on time, but our train only arrived at Ella at 3:45pm, which was still pretty great! 1st class cabin: This cabin is fully air-conditioned, and is the closest to the front of the train. The downside is that you can’t open the windows to admire the views you came for! When we traveled, this cabin was really empty, so if you absolutely have to travel, the chances of snagging a 1st class ticket may be higher. 2nd class reserved: This is the cabin we traveled in (with many thanks to our driver who managed to snag last-minute tickets from the black market! We had to pay a premium though..) because we didn’t want to be standing for the whole 7-hour journey. The cabin was really empty, so we were really thankful we got reserved seats! No squeezing in a tiny cabin for 7 hours! We got to hang our heads out the window and admire the view. I can now totally relate to why dogs love to hang their heads out the car window so much. But there was a downside that no one told me of! The window shots are fine, but if you want to take pictures hanging out the door as you see in a lot of Instagram photos? There was only one door that could be opened, and the rest were locked! So, you’d have to basically really lucky to have that door free or ask nicely if you could sit for a while, since you’d be competing with the rest of the passengers in that cabin. We had to beg the train marshall a few times (and throw in the excuse that it was my birthday- it really was!) to help us open the extra door for 5 minutes so we could take a few shots! 2nd class unreserved: This is the cabin that most travelers travel in. I peered through and it was really packed like sardines in there! The upside is that you get to sit with your feet hanging out the doors the whole journey if you’re lucky to snag a spot! Otherwise, standing for 7 hours may not be the most pleasant experience especially in Sri Lankan heat. 3rd class reserved: Similar to 2nd class reserved, except maybe a slight bump down in seat comfort but still way better than being in an unreserved cabin! 3rd class unreserved: This cabin is the cheapest and can get very crowded. 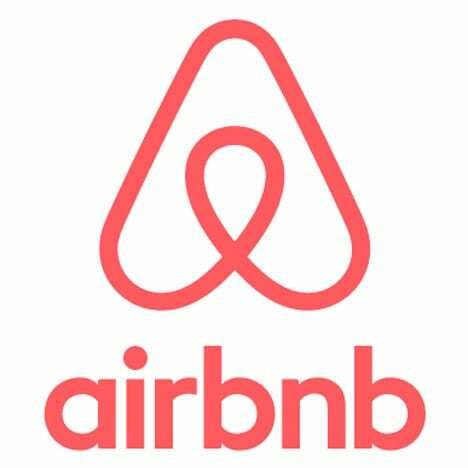 You’ll find dogs, cats, and livestock in this cabin too so make sure you won’t mind the extra company! 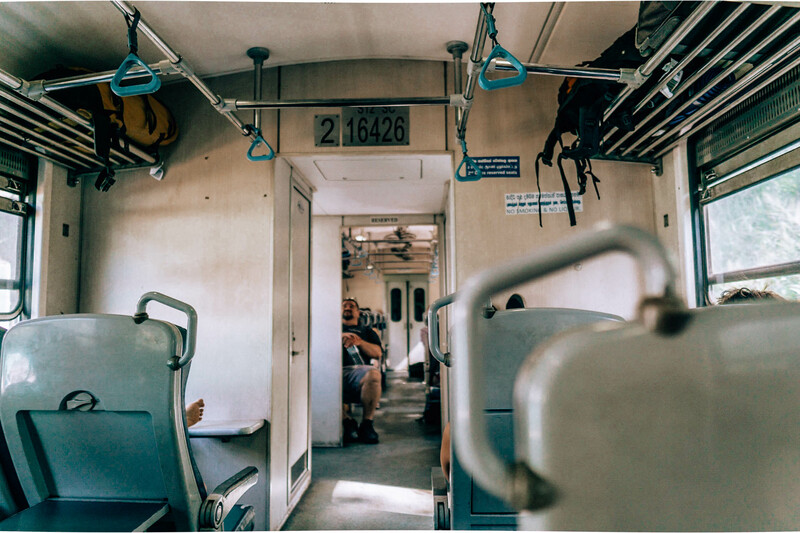 Which side of the train should you sit? Honestly, you’ll get great views no matter where you sit. We had two seats each on both sides of the train so I could flip flop between both sides throughout the journey. This is possible in the reserved cabin, but may not be as easy moving around in the unreserved cabin as it can get really packed! And you run the risk of losing your seats if you move. As a general guide, I found the view to be best on the right side from Kandy to Nuwara Eliya. The awesome views start around 1 hour into the journey, so you have about an hour to get comfortable and warm up your camera batteries before you start taking endless shots of the views! About 45 minutes after you pass Nuwara Eliya (another major station where a lot of people hop off and hop on), see if you can get a seat on the left side of the train. The views get extra good once you reach around Haputale because you’re entering tea country. As I mentioned, trying to get reserved train tickets for the 8:47am train was really stressful. I remember checking in with our driver multiple times leading up to our trip, yet to no avail. The only failsafe we had was that they managed to secure reserved seats in the 3rd class for the 11am train, which would have messed up our plans. Up until the day before our planned train journey, we were out of luck until we offered to pay a little extra just to get the tickets we wanted, to which we finally lucked out. You know what they say, money talks! Even then, the tickets weren’t that expensive and our driver so kindly offered to split the cost with us. We arrived at the train station about 20 minutes before departure, and already there were throngs of tourists with giant backpacks and suitcases waiting at the platform. I was so thankful that we a) had a reserved seat and b) weren’t carrying any luggage with us, as our driver drove down to Ella with our luggage. The train was on time, and once it arrived, there was a mad scramble to board the train, especially the unreserved cabins. Those with reserved seats could calmly stroll to their cabins and grab their assigned seats. The 2nd class reserved cabin was surprisingly very empty, that we could play musical chairs and swap seats to get different views on both sides! Peering into the 2nd class unreserved cabin, I was so thankful because it looked awfully uncomfortable with everyone packed in like sardines! The seats in the 2nd class reserved cabin were actually very comfortable! And at first, I was wondering how we would pass 7 hours, and how much scenery could one really look at for 7 hours and not get bored. I had my Kindle and Spotify premium at the ready, but alas, needed neither. I was surprised at how quickly 7 hours passed, that I kept checking the time to see where all that time went! I’d say save for the 1st hour into the journey, and maybe a bit at the end, you get a good 5 hours of awesome scenery. Once we got to Nuwara Eliya station, more passengers came onboard, filling our cabin so we weren’t as free to move around anymore. The downside about the reserved cabin was that there is a train marshall onboard guarding the doors, so we practically had to beg him to open up the doors for us to sit and hang our feet outside. For a while, I felt so envious of the passengers in the unreserved cabins who were free to do whatever they wanted. It felt a little like we were a bit constrained in the reserved cabin, while the passengers in the unreserved cabins were having all the freedom! But then again, that is provided you are able to snag a seat at the doorway, otherwise, I believe it is quite the unpleasant experience having to stand and squeeze with other passengers for 7 hours! There were food vendors coming on the train at various stops selling fruit, snacks and drinks along the way so you probably won’t go hungry! There were fruit, snacks and even hot drinks! One of the vendors was carrying a hot water flask around for hot tea and coffee! Make sure to have small change ready if you plan to purchase from these vendors. The train stopped at some stations for longer than expected, which is what might have caused a slight delay in our arrival time, so be prepared for unexpected delays. We arrived at Ella at 3:45 pm, which wasn’t too much of a delay from the scheduled time. All in all, the train ride from Kandy to Ella could arguably be the world’s most beautiful train ride and was definitely a highlight of my trip. I would 100% recommend this as an activity all in itself if you find yourself in Sri Lanka! 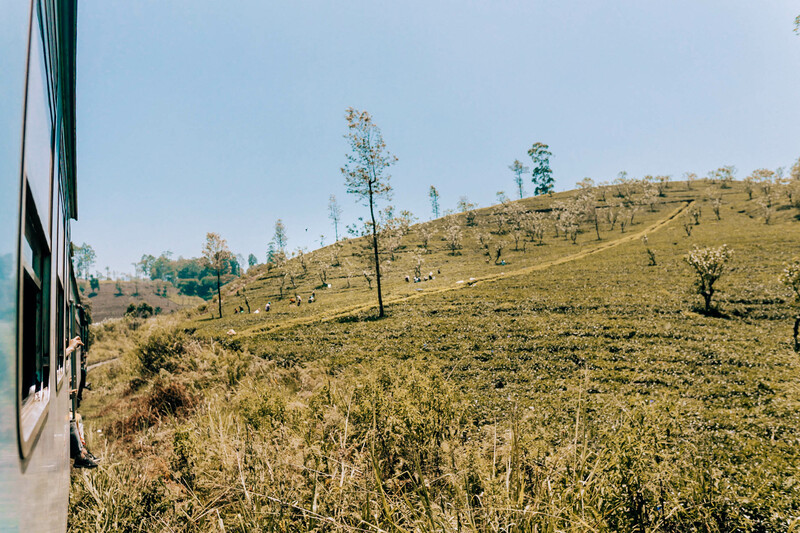 The train journey takes 7 hours so if you have extra time, I’d recommend breaking up your journey and stopping in Nuwara Eliya where you will find some of Sri Lanka’s best tea plantations. But if you’re short on time like us, you can always do the full 7-hour journey. I promise it doesn’t feel that long especially if you have a reserved seat! Unlike trains in other countries, a higher class does not necessarily mean a better experience. Always get reserved seats (if you can help it). That means to opt for 3rd class reserved seats over 2nd class unreserved seats. Book your tickets now! 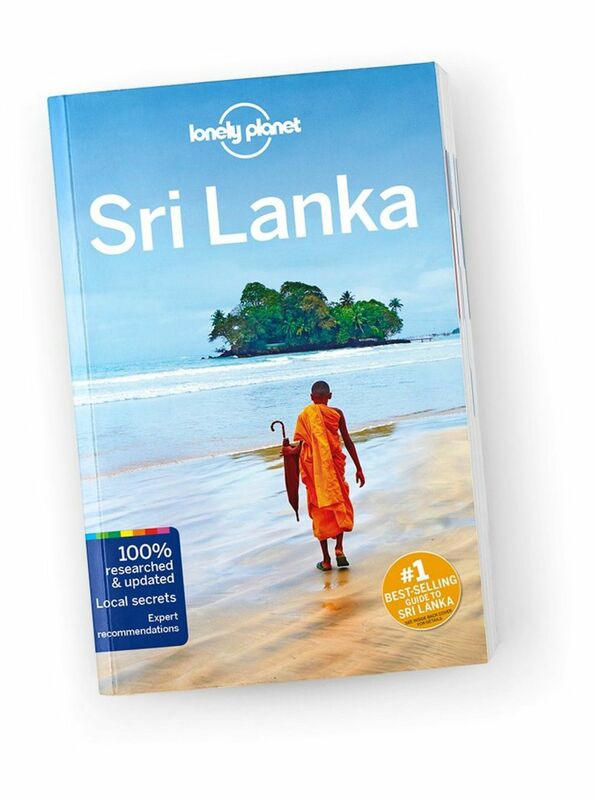 Further reading: Lonely Planet Sri Lanka Travel Guide is an up-to-date guide on what to see and skip, and the hidden secrets Sri Lanka holds. It features color maps and images, highlights and itineraries, insider tips, essential info, honest reviews and cultural insights. Use code ‘ATLASEDIT10’ for an extra 10% off your order! Does this look like the most beautiful train ride in the world? Would you take this 7-hour trip or have you already done it? Let me know in the comments below!